You are going to Watch Naruto Shippuden Episode 301 English subbed online free episodes with HQ / high quality. Stream Anime Naruto Shippuden Episode 301 Online English sub Paradox. As the Fourth Division’s attacks prove futile against the Third Raikage, he re-emphasises how they were to attack him. Temari and a few other tessenjutsu users attack the Third with the Wind Release: Cast Net technique which appears to have finally incapacitated the Raikage, but as shinobi from the Sealing Team move in to bind him, they are sent reeling. Spotting his former aide Dodai amongst the Allied Shinobi Forces’ ranks, he steps forward and tells Temari a bit more about the Raikage and noted that they needed a more powerful Wind Release technique to attack him. Noting that there was not a more powerful Wind Release user amongst their ranks or even in the Alliance, Naruto’s shadow clone arrives, announcing that he would be able to do the job. 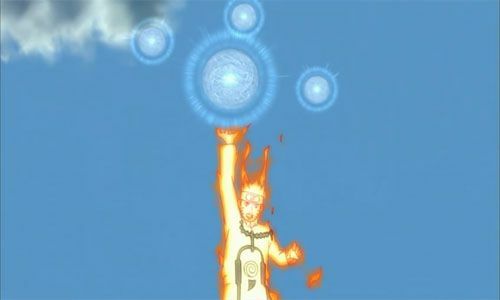 Leaping into action, Naruto forms a Rasenshuriken which after some manipulation, finally lands an attack on the Raikage which proves to be just as futile.